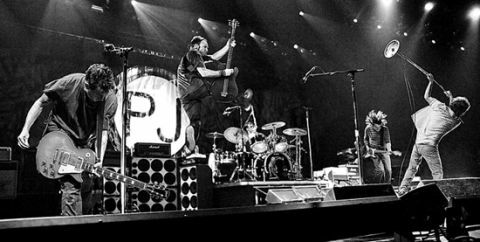 Can Pearl Jam have been around for TWO DECADES? Yep, as this documentary charting their history celebrates. Director (and lest we forget, former rock journo) Cameron Crowe primarily pegs the movie on Eddie Vedder’s frontman charisma. The film loses steam after capturing the raw energy of the band's chaotic heyday performances, where Vedder morphed from reticent newbie-vocalist to a force of nature dangling from rafters. Despite surrendering to sentimental fandom, Crowe thoughtfully touches on greyer areas, from megastardom's pressures to the band's contentious place in the Seattle scene (were they grunge enough?) and an anti-corporate stance which saw them take Ticketmaster to court.